Corrigan Family Dollar Robbery Suspects Apprehended by US Marshals, CORRIGAN, June 3, 2015 - US marshals have arrested both suspects in an armed robbery that occurred at the Corrigan Family Dollar Store on April 27. Sergeant Harold Rapsilver with the Corrigan Police Department stated that US marshals arrested Tamisha Wolfe, 22, in Houston back in early May. The Corrigan Police Department issued an arrest warrant for Moses McCleland, 23, of California at the same time a warrant was issued for Wolfe. 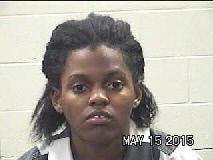 McCleland was recently arrested (we do not have the exact date and time of the arrest). Sergeant Rapsilver stated that both have Lufkin connections. Corrigan Police Department received a call at around 8:30 p.m. on May 27 that an armed robbery had taken place at the Dollar General Store, located at 303 South Home Street. Allegedly, a black man and woman walked into the store, brandished a pistol, and demanded the store money. The robbers took an undisclosed amount of cash and some cartons of cigarettes and then left. 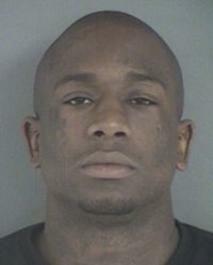 The man was wearing a red flat-brimmed hat, a Dallas Cowboys hoodie and black pants. His accomplice was described as a short black woman wearing a red and blue striped jacket with a Chicago Bulls cap. Fortunately, no customers were in the store. Images from a security camera inside the store were featured on this website in a Crime Stoppers alert.